If you are looking for a quality mattress in Connecticut, we are here to help. There are so many big chains slinging mattresses these days, it’s tricky to know which mattress shop is more of a sales pitch than a service. We understand that a mattress is a crucial purchase: you use it for ⅓ of your life, it’s pricey, and it’s often the difference between a functioning body and one that aches and pains. The process of purchasing a mattress need not be a nightmare. Here’s how we can help: we examined mattress stores and smaller mattress shops across the state of Connecticut. We looked for locations that worked with the customers and offered a wide enough selection to meet a range of people’s needs. We also looked for affordable prices. With so many competitors now, it’s not actually that tricky to find something within a price point that is manageable for most shoppers. We also looked for some extra perks- did they offer organic mattresses? Convenient and timely delivery? Were they willing to correct their mistakes? Did they offer a refund? Then we divided our findings by general geographic region to make the experience that much more convenient for you. While mattress stores are certainly prevalent in many of the more populated cities in Connecticut, the mattress industry is so large, that even today you can purchase a custom-built mattress to your specifications online. Here are the mattress stores in Connecticut that stood out to us. Whether you need a mattress for your beach house, or your primary residence, you’ll always need a good night’s sleep. Purchasing a mattress can be a headache but not if you know exactly where to look. We factored in quality, price, and convenience as well as top-notch customer service. We looked at all of the top mattress stores in Bridgeport and the surrounding areas and here’s what we came up with. If you are wondering where to find a mattress near Bridgeport, Connecticut you could head out to Greenwich. There you’ll find Hastens, a home decor and mattress retailer that’s been in business since 1852. Hastens is a premium mattress that is truly “an investment in you.” They create handmade beds free from allergens without using rubber or latex. Not only do Hastens make a quality mattress, but their sales team are friendly, knowledgeable, and will listen to your needs. If you long for comfort and sound deep sleep for years to come, and a night without toxins, you should try Hastens in Greenwich. If you would rather stay a little closer to Bridgeport you’ll find a great mattress store in Fairfield. Believe it or not at Mattress Firm Fairfield Black Rock Turnpike (2367 Black Rock Turnpike). Not all big box stores are equal, and in fact many are successful because they work hard on customer service and differ from location to location. In the case of this Mattress Firm, you will find all of the great conveniences of shopping at a large chain with the down-home touches of shopping local. The sales team are of course what makes the difference. On the floor you’ll find a friendly crew who are ready to listen to your needs. This team are fast and efficient, and are sure to connect you with a mattress to fit you and your budget. Additionally, there’s a Mattress Firm Clearance located in the Stratford Square Mall (411 Barnum Ave.) If you are looking for a quality mattress at a deep discount, this is where to head. If you are looking for a mattress near New Haven, Connecticut we have you covered. In fact, we took a look at mattress stores in New Haven and the surrounding areas. There are a number to choose from, but not all of them provide a top-notch affordable product with quality customer service. Here are the mattress stores that did. Fairhaven Furniture is far more than just a mattress shop, it’s a gallery of incredible furnishings and homewares. You will find some truly unique pieces here, all of which are premium. When it comes to customer service, this sales team and staff work hard to earn your business. In addition to their Gold Bond Mattress, Fairhaven Furniture offer a wide selection of tasteful beds and other items. The cost for items are on the pricey side. If you need something a bit cheaper you could head to Mattress Firm South Orange (575 Boston Post Rd.) which is a great solution if you are looking for a wide range of mattresses at affordable prices. 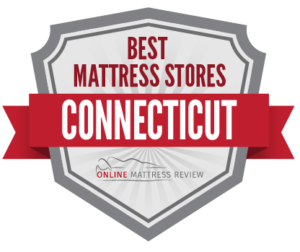 This particular Mattress Firm is located in Orange, CT. We especially recommend this location for the knowledgeable and patient sales team. As always with Mattress Firm you’ll receive a 90 day sleep guarantee as well as convenient and speedy delivery. Our last pick is in Milford at Raymour & Flanigan Furniture and Mattress Clearance Center (1799 Boston Post Rd.) where you will find great mattresses at affordable prices. The sales associates are helpful and will go the distance to ensure that you find a mattress to fit your sleeping needs and your budget. Ever wondered: Where can I find a good quality mattress store near Hartford, Connecticut ? Well, you are in the right place. Relax the Back Store is located in West Hartford (982 Farmington Ave.) and offers quality mattresses to help you with chronic pains or ergonomic issues that may be the cause of poor sleep. If you are someone who is longing to sleep sounder and sleep has availed you, then certainly give this company a try. Their sales team are knowledgeable, keep you at ease, and really work to ensure they find you a bed to meet your needs. If you are looking for a vast-range of option, then why not try Mattress Firm West Hartford (8 Sims Rd) where you’ll find dozens of quality mattresses to match your budget. This location has a great sales team that focuses on customer service and your needs. Don’t be afraid to price check and ask for a price match as there are multiple locations from which to compare including Mattress Firm Glastonbury, Mattress Firm Farmington, and Mattress Firm Wethersfield. We prefer the West Hartford location for their quality of customer service. If you need something a little more customized, try Sleep Number. There’s a location in West Hartford (1593 New Britain Ave.) where you’ll not only find a premium mattress but also a great staff that are patient, kind, and extremely resourceful. If you need to expand your search, we also recommend the following mattress stores: Mattress For Less in Newington (2585 Berlin Turnpike), Connecticut Mattress in South Windsor (69 Evergreen Way) and Mattress Firm Willimatic Windham (95 Storrs Rd).